Review by AllTheBestFights.com: 2018-07-14, some good exchanges between Marion Reneau and Cat Zingano but it is not enough to get three stars, it gets two. The black belt in Brazilian jiu-jitsu Marion Reneau entered this fight with a professional record of 9-3-1 (89% finishing rate) and she is ranked as the No.4 women’s bantamweight in the world. She lost two consecutive bouts between 2015 and 2016, against Holly Holm (Holly Holm vs Marion Reneau) and Ashlee Evans-Smith, but then she has collected three victories and one draw beating Sara McMann in 2018. Her opponent, Cat Zingano, has a mma record of 9-3-0 (89% finishing rate) and she entered as the No.16 in the same weight class but she comes off three consecutive losses, against Ronda Rousey (Ronda Rousey vs Cat Zingano), Julianna Pena (Cat Zingano vs Julianna Pena) and Ketlen Vieira (Cat Zingano vs Ketlen Vieira). 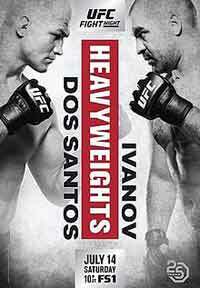 Reneau vs Zingano is on the undercard of Junior dos Santos vs Blagoy Ivanov – UFC Fight Night 133. Watch the video and rate this fight!